One mile until the routes split. 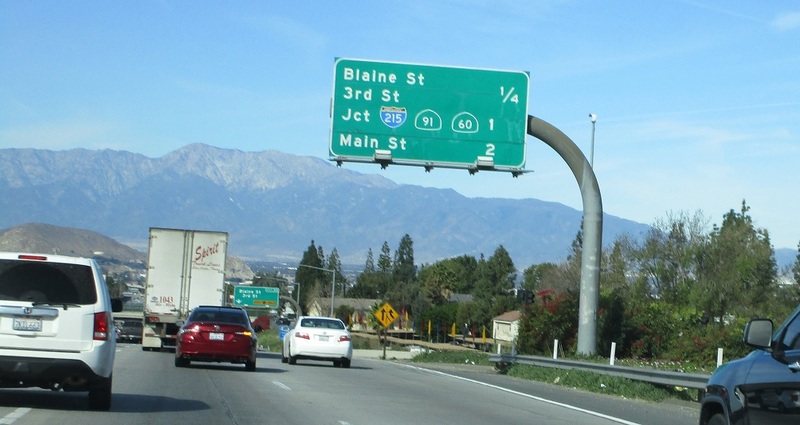 Shortly thereafter, SR 60 and I-215 will split as we approach SR 91. 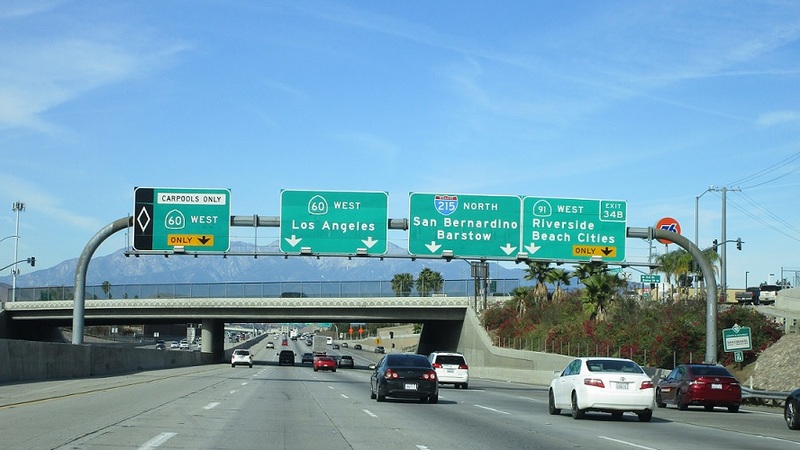 Exit for SR 91, which heads south of Los Angeles as a freeway through Anaheim towards the beaches. 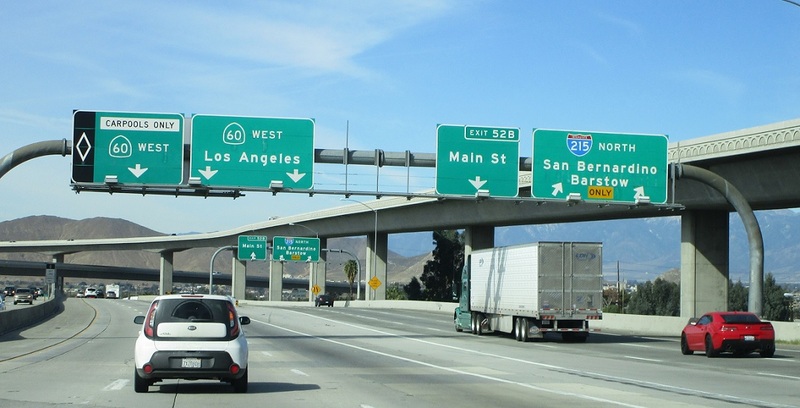 Follow 215 north to Barstow and 60 west to Los Angeles.